For PAX, today, December 10, 2017, is a festive day! 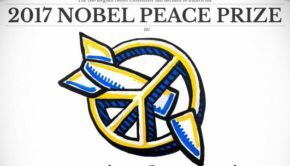 We are incredibly proud that this afternoon in Oslo the International Campaign to Abolish Nuclear Weapons (ICAN) will receive the Nobel Peace Prize. PAX is a driving force behind this campaign. 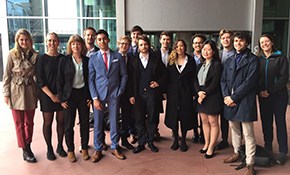 PAX is in the steering committee and played a crucial role in the realization of the international Treaty on the Prohibition of Nuclear Weapons, a Treaty supported by 122 countries. 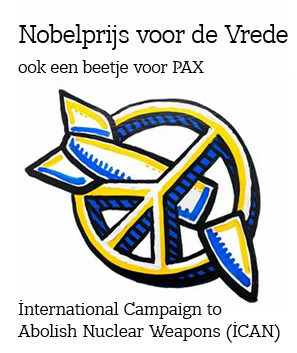 One of the reasons for the Nobelcomittee to award the prize to ICAN is the crucial role it played in drawing attention for the catastrophic humanitarian consequences of any use of nuclear weapons and the realization of the Treaty on the Prohibition of Nuclear Weapons. Program director Miriam Struyk, program leader Susi Snyder and program officer Selma van Oostwaard are present at the official ceremony in Oslo. They will celebrate this historic moment together with ICAN executive director Beatrice Fihn, Hiroshima survivor Setsuko Thurlow and ICAN partners. In the Netherlands PAX will follow the official ceremony with politicians, partners, and volunteers. General Director Jan Gruiters, Parliamentarian of the Socialist Party (SP) Jasper van Dijk and Campaign Leader Krista van Velzen will reflect on the prize and the No Nukes and ICAN campaign. Together, they will watch the live broadcast of the ceremony in Oslo. And, after today we will continue with all our efforts to achieve a world free from nuclear weapons! 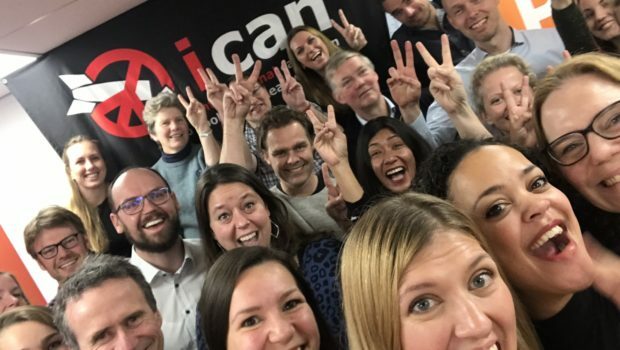 The full text of the speeches by ICAN executive director Beatrice Fihn and Hiroshima survivor Setsuko Thurlow, who received the price on behalf of ICAN, can be found here. The ceremony can be viewed here.